San Diego is one amazing place to live. 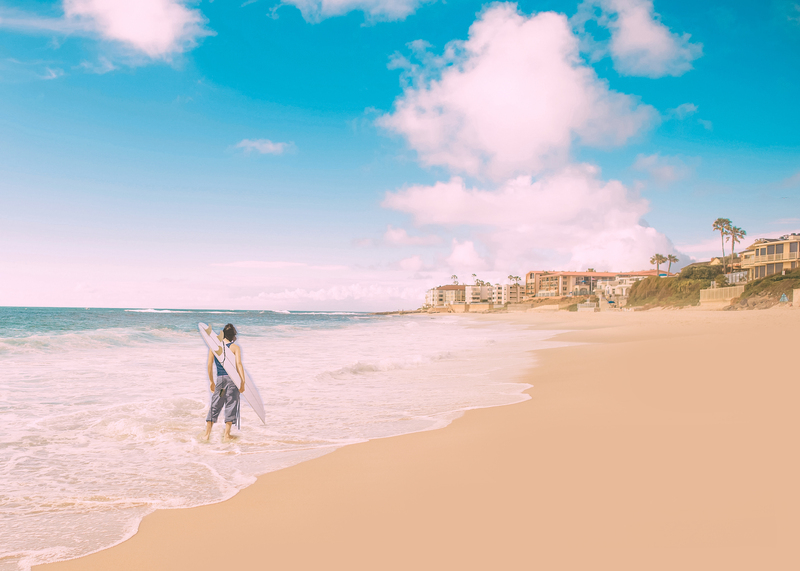 With an average temperature of 71 degrees, 266 sunny days a year and some of the most iconic beaches in the world, it’s no wonder that many San Diegan’s motto is “No Bad Days”. 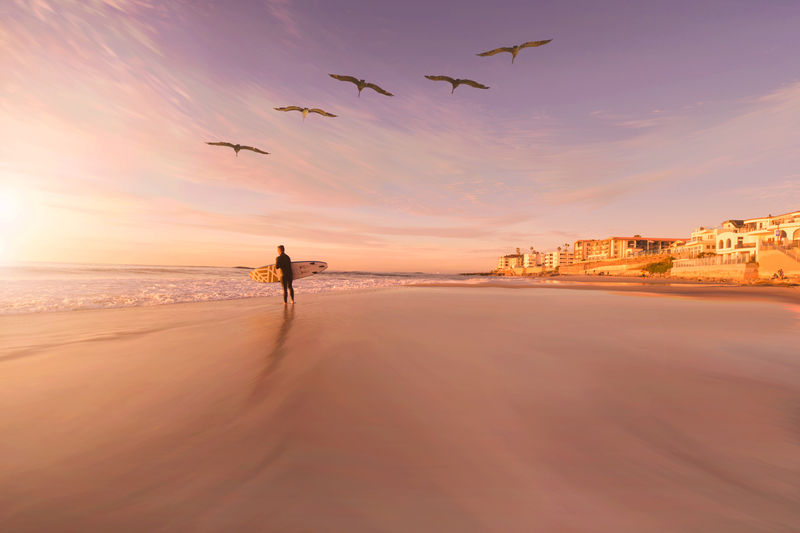 And here is a bonus fact about San Diego that you might not know – it is home to more fraud and risk machine learning companies than almost any other place in the US. As far as California is concerned, San Diego is often considered the laid-back city that plays fourth fiddle to San Francisco, Silicon Valley and Los Angeles. 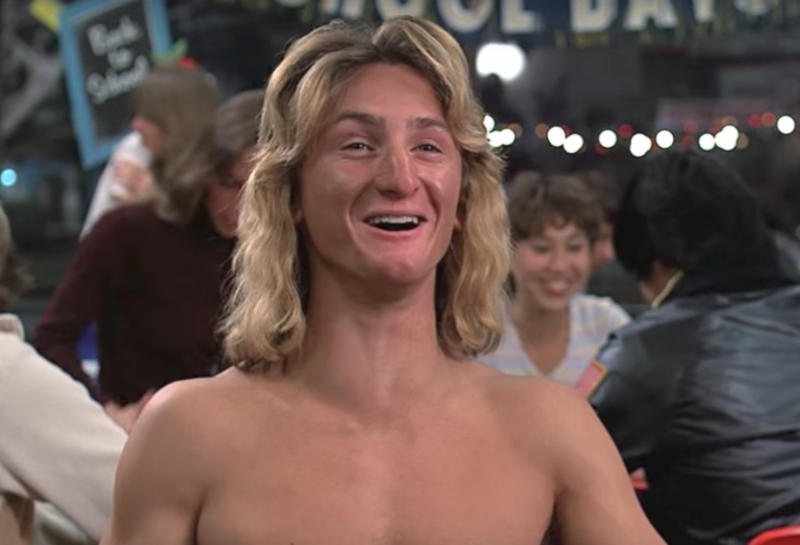 There just isn’t the same level of high tech jobs you might find in those cities and generally when people think of San Diego, the first image that comes to mind is this guy – Jeff Spicoli. But when it comes to fraud and risk – San Diego is a the big player in terms of innovation and technology. Why Is San Diego a Hub for Fraud Detection? The history of many of the fraud companies in San Diego can be tied back to two early pioneers in fraud detection, Robert Hecht-Nielsen and Todd Gutschow, who co-founded a company called HNC Software way back in 1986. HNC Software was one of the first companies to ever commercialize the technique of machine learning. With a $550,000 venture capital investment, they initially focused on training people to build neural network models. They later capitalized on the fact that San Diego is a military center to pivot and focus on using the technology for defense industry applications. 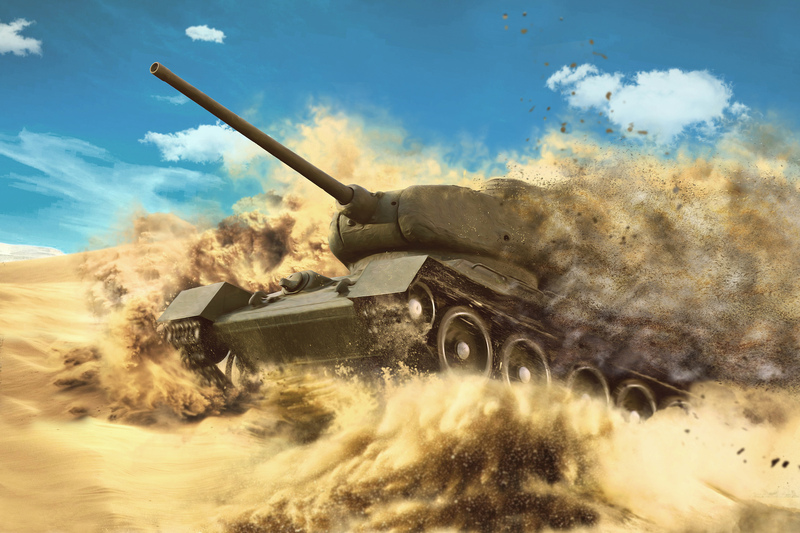 The company used technology that they initially built to find tanks the desert for the US military to target fraud transactions in card issuers’ authorization systems. The roots of San Diego’s cottage fraud industry has its roots all the way back to Desert Storm and the military’s efforts to find tanks hidden in the vast desert. Did you realize that fraud technology created here in San Diego impacts billions of financial decisions each and every month? Every time you use your credit or debit card, apply for a loan, deposit a check, apply for a new account or even make a purchase online – there is a high chance that models created here in San Diego are being used to protect you from fraud. What most of these companies share in common is that they all take the same basic approach to fraud detection – leveraging big data and applying machine learning models or sophisticated technology to accurately pinpoint the fraud or risk. Every company is focused on the accuracy of their solutions and driving down false positives. This is a common culture of the fraud companies here in San Diego. I believe it is heavily rooted in the rigor that the thousands of data scientists that work for these companies brought with them from their scholastic backgrounds. There are over 17 risk and security companies that started right here in San Diego or have moved operations here to take advantage of our rich ecosystem of fraud scientists and technologists. Each of the companies that started or base their operations here focus on something unique which is why you probably run into many of these companies if you work in fraud in any industry. HNC Software, which was later acquired by FICO, is the first and one of the oldest fraud companies in San Diego. Close to 65% of credit and debit card transactions pass through their fraud models each and every second protecting the globe against billions in fraud loss. But it isn’t just card fraud that FICO specializes in, they have more than 11 different fraud products used by companies all over the world. SAS is the leader in Analytics for the last 40 years and they provided the first statistical tools for banks to tap into the value of their own data. 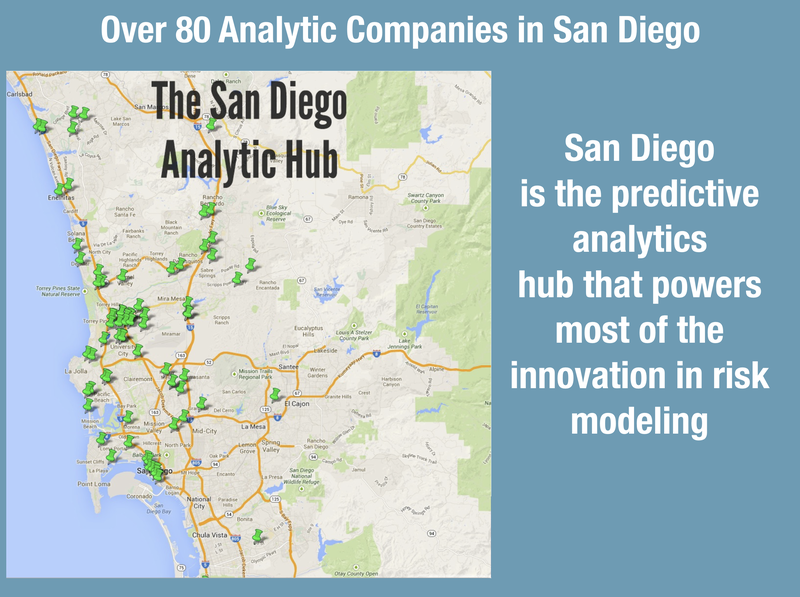 In 2003, SAS set up fraud operations here in San Diego to tap into the rich pool of data scientist and technologist in the area. Many of the original SAS team joined after leaving HNC Software to innovate something new and exciting in fraud management. Since then, they’ve gone toe to toe with FICO, Actimize and BAE Systems with an impressive fraud platform built by San Diegan fraud fighters. ID Analytics was founded by Bruce Hansen after he left HNC Software. 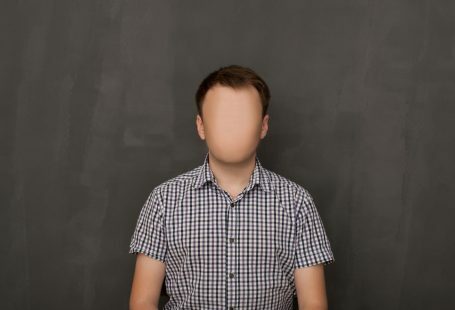 Like many others, he saw opportunities outside of card fraud and he wisely chose to tackle identity fraud which was just beginning to explode. 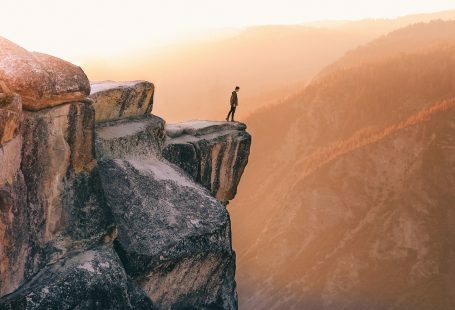 Today, ID Analytics (initially acquired by LifeLock and now part of Symantec) is a powerhouse in the identity space and manage the worlds largest identity network. Their scores and alerts are used across many industries to prevent first and third party application fraud. BasePoint Analytics was yet another company founded by ex-FICO executives who saw an opportunity outside of card fraud. In 2004, BasePoint established the first ever Mortgage Fraud Consortium and tackled what was to become the biggest emerging area of fraud risk of the decade – Mortgage Fraud. The technology was purchased by CoreLogic and the scoring technology and data approach is used to scan mortgage applications for risk each and every second. Experian collects information on over 1 billion people and businesses and helps companies all over the world manage risk. But when it comes to fraud and innovation, they setup shop right here in San Diego to let a team of PhD Data Scientists innovate on some of the biggest data out there. Experian launched Experian Data Labs to serve as their analytic and innovation incubator. 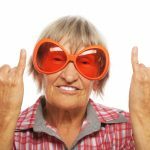 The result is an impressive array of fraud scores, solutions and tools that are used by companies all over the world to help manage their risk of new account fraud. 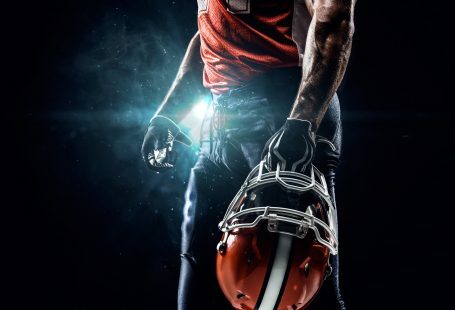 Opera Solutions is headquartered in New York but they established a large team of San Diego modelers to head up their fraud solutions for banks, lenders and retailers. Opera’s focus is on providing customized fraud and risk models built by machine learning data scientist. General Forensics was founded by whiz kid Josh Wortman to help lenders, finance companies and banks manage their fraud through deep and complicated digital forensics. General Forensics leverages big data sourced through web crawlers, banking data, public data and sourced data to weed out unscrupulous dealers that try to defraud lenders and consumers. Mitek was founded in San Diego in 1986 and through the years has become the leading provider in the world in automated document verification. 99 of the top 100 banks use their technology to process their mobile deposits and thousands more leverage their digital identity verification tools to validate drivers, passports and other documents to prevent fraud. PointPredictive was established to help solve the $6 billion dollar problem of Auto Lending Fraud in the US. PointPredictive has established the first Auto Lending Fraud Consortium and has scored over 60 million applications for both first and third party fraud. PointPredictive has a large seasoned team of predictive analytic scientist that pour through their billions or risk attributes to identify hidden fraud. CoreLogic acquired BasePoint Analytics in 2009 and focuses on helping some of the largest lenders in the US, UK and Australia tackle the problem of Mortgage Fraud and Risk. CoreLogic is a behemoth of a data and analytics company retaining over 4.5 billion detailed records on just about every property and real estate transaction in the country. From their offices in San Diego, fraud scientist protect the world from mortgage fraud. Amazon processes 44% of all e-commerce transactions and 4% of all retail transactions in the US. And when they look to prevent fraud, they turned to San Diego to tap into the powerful community of fraud data scientist. Amazon established offices in San Diego 3 years ago and the team data science team focuses on helping Amazon prevent fraud and abuse on their platform. You might know CA Technologies for their work in 3D-Secure which is used to protect more than 1 billion transactions a year and supporting over 200 million cards. Their technology works behind the scenes to help stop fraud. You might know Websense through your employer. Websense is the software that protects more than 42 million employees from external and internal computer security threats. Their product ThreatSeeker™ identifies malicious content to prevent information leakage. In short – they protect companies against dangerous malware and phishing attempts. The company was acquired by ForcePoint and operates under that brand now. TruePic is changing the internet by authenticating photos and videos to prevent alteration and claims of fraud. They are used by insurance companies to cut fraud, property management companies to verify the authenticity of listings and even for authenticating photos in news articles and social media sights. In a world where images are being used more than ever before, TruePic is on the cutting edge of preventing fraud in just about every area. AttackIQ is an open security platform that enables companies to test their security posture by simulating attacks and verifying their response. The product called FireDrill is like hiring 100 hackers to try to penetrate your systems but in the end it was all just a big test. In 2016, I wrote about how a robot army of home security cameras brought down the internet in many parts of the US through a massive DDOS attack – How Cameras and Dumb Passwords Helped Hackers Create The Biggest Robot Army in History. AgilePQ has created software to protect the last mile of the internet and all of those IOT devices from being compromised by dastardly hackers. 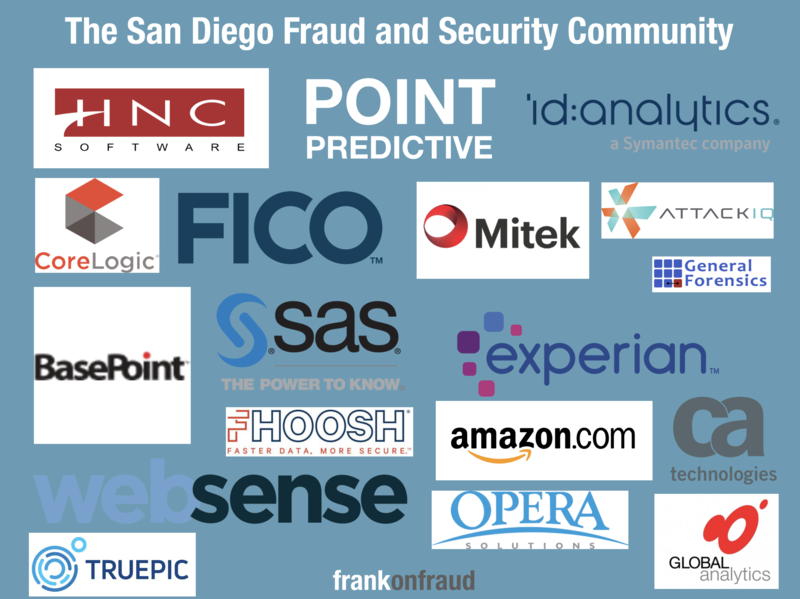 San Diego is not only a home base for tackling fraud issues but for the broader use of analytics and machine learning across many industries. There are over 80 different analytic companies and thousands of data scientists working in companies all over the city helping other companies all over the world make better decisions with their data. San Diego continues to churn out some of the best data scientists in the world because of the high number of university and college programs in the area. 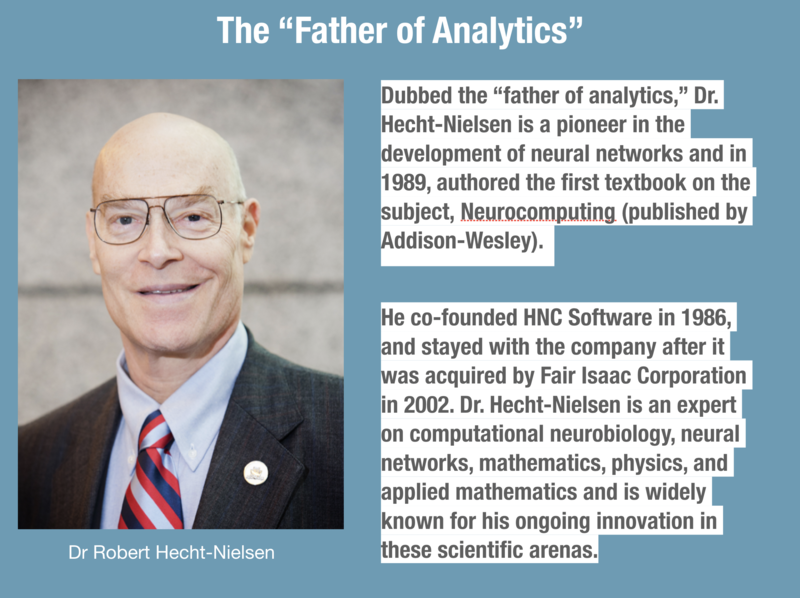 Analytic company founders like Robert Hecht-Nielsen continue to teach and stay actively involved in helping train the next generation of great fraud scientists. If I haven’t given you enough reasons to love San Diego, then here is 1 more – The California Burrito was invented here. 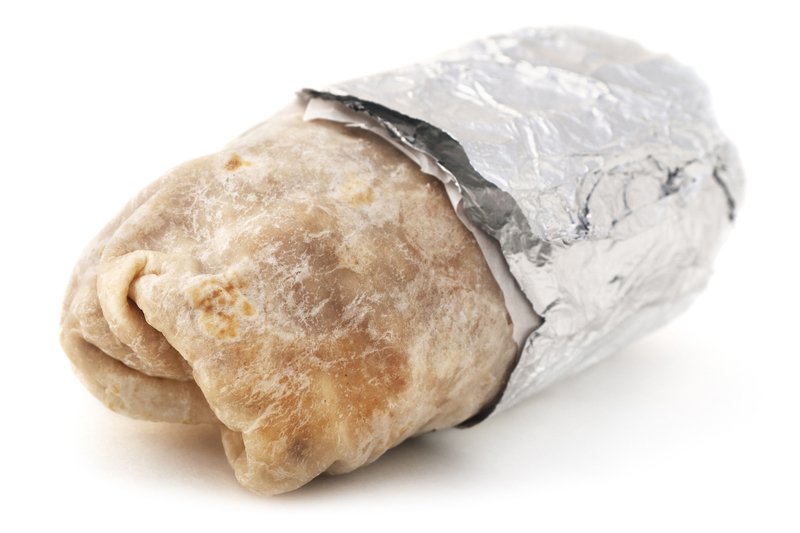 It’s an unwieldy-barely-get-your-hands-around-it beast of a burrito created by our surf dominant beach culture. It’s basic – carne asada and fried potatoes – but it packs enough flavor and calories to hold you over for an entire day. Fighting fraud can make you really hungry. The burritos help! Seriously – great list Frank. This is the type of thing that people talk about all the time but nobody ever puts down on paper. You da man!